No part of this information is a substitute for legal advice. If you have questions or believe you have a legal case under Mississippi Landlord Tenant Law, you should contact an attorney. Stay up to date on Mississippi Landlord Tenant Laws + Save money on tenant screening and other property management needs. Join AAOA today, it’s FREE! Security Deposit Maximum: No statute is given, but in most cases, the amount considered to be reasonable for a security deposit, is the equivalent of one months’ rent. Deadline for Returning Security Deposit: Pursuant to 89-8-21(3), the landlord must return what is left of the deposit after any repairs or other costs are deducted within 45 days of termination of the lease. Require Itemized List/Written Description of Damages and Charges: The landlord must submit an itemized list of all damages and any subsequent charges along with the remainder of the security deposit when it is returned. Failure to Comply: Pursuant to 89-8-21(4), the landlord may be forced to pay up to $200 if he fails to comply with the rental agreement and does not return the tenant’s security deposit in the allotted amount of time. When Rent Is Due: No statute is available. Rent is normally agreed upon by both landlord and tenant and stated within the rental agreement. Rent Grace Period: No statute is given, but a grace period can be agreed upon between both parties and included in the rental agreement. Returned Check Fees: No statute is given, but landlords can charge up to $40 per returned check in accordance with the state’s average. Tenant Allowed to Repair and Deduct Rent: According to 89-8-15(1), the tenant may make repairs if the landlord has failed to fulfill his obligation to do so after receiving written notice. If, after 30 days, the repairs have not been made, the tenant can make them and deduct them from the rent, in accordance with the all of the stipulations listed within the statute. Notice to Terminate Tenancy – Fixed End Date Lease: No notice is needed in a fixed end date lease as the lease expires on the final date of the lease. Notice to Terminate Tenancy – Month to Month Lease: The landlord must give 30 days written notice prior to the termination date, pursuant to 89-8-19(3). Notice to Terminate Tenancy – Week to Week Lease: The landlord must give the tenant 7 days written notice prior to the termination date according to 89-8-19(2). Notice of Date/Time of Move-Out Inspection: No statute given, but a written notice of the date and time of a scheduled move-out inspection is often provided to the tenant. This allows time for the tenant to make arrangements to attend the inspection and dispute any possible damages they feel were not due to their negligence. Lease Termination for Nonpayment: Pursuant to 89-8-13(3), the landlord can terminate the lease agreement if the tenant has not complied with all stipulations of the lease including nonpayment of rent. According to 89-7-27, the landlord can terminate a lease agreement, if the tenant has not paid rent within three days of the due date. However, if the tenant pays the rent owed within three days of receiving the written notice to terminate tenancy letter, the eviction is stopped and the lease remains in effect. Termination for Lease Violation: Both the landlord and the tenant have the right to terminate the lease if a violation has occurred. 30 days written notice must be provided by the nonbreaching party to the party who is in violation of the lease, pursuant to 89-8-13(3). Immediate Lease Termination: Immediate termination of the lease will be considered if the landlord or tenant can prove the other party is in violation of the lease and their activity can result in potential damage or unsafe conditions for the tenants. Required Notice Before Entry: No statute given. This varies from complex to complex, but is often included within the lease agreement in an attempt to be fair to the tenant and ensure their privacy at all times. Entry Allowed with Notice for Maintenance and Repairs (non-emergency): No statute given, but is often included within the lease agreement. Written notice is often provided out of courtesy to the tenant as a means to ensure that their right to privacy is respected. Entry Allowed with Notice for Showings: No statute given, but a specific amount of time can be written into the lease agreement. The universal time often included in most lease agreements is 48 hours, written notice prior to the showing of the apartment to a prospective applicant. Emergency Entry Allowed without Notice: No statute given, but this can be included within the lease agreement if the landlord chooses to exercise this option. Entry Allowed During Tenant’s Extended Absence: No statute given, but can be included within the lease agreement. This is often included within the lease agreement so the landlord can be assured that there has been no damage to the dwelling either by the tenant or due to the malfunction of an appliance or other fixture. Notice to Tenants for Pesticide Use: No statute given, but is often included within the lease agreement. Landlord Responsibilities: The landlord must provide a habitable dwelling, comply with all housing and health codes that result in a safe and healthy environment as well as make all necessary repairs that are the result of natural wear and tear.They are not responsible, however, for any damages caused by the negligence of the tenant, pursuant to 89-8-23. The landlord may alter specific sections of the lease agreement as long as it pertains to all residents within the complex and creates a standard that is equally fair to every resident who resides there. Tenant Responsibilities: The tenant must pay their rent on time and according to the lease agreement, maintain a habitable dwelling that is clean and safe for those who reside there, refrain from disturbing the neighbors and the environment in and around the apartment complex and not engage in any illegal activity on the premises or in the residential dwelling pursuant to 89-8-25. The tenant must also remove all trash, ashes, garbage or any other form of rubbish in a timely fashion and maintain a clean and safe residence. They must also make every attempt possible to refrain from creating any situation that would result in damage to the rental unit, including any heating, electrical or water fixtures and appliances. Name and Addresses: No statute is given. There is no legal statute requiring the landlord to provide the tenant with the names and addresses of the owners of the property or the individuals or company that manages the property. That information is often included in the lease agreement so the tenant can contact the proper authorities if an accident occurs or if there is damage to the property. Tenant’s Personal Property: No statute is given, but many landlords include a section that states what they will be able to do with any property abandoned by the tenant. This primarily involves the storage or disposal of any items left behind after a tenant leaves the premises. Mississippi Small Claims Court Limits: $3,500 can be recovered through any small claims action in the state of Mississippi. Eviction Cases Allowed in Small Claims: No, eviction cases do not belong in small claims court. Instead they are heard in circuit court. Landlords may attempt to recover monies owed to them by former tenants with a small claims suit. Business License Required: In the state of Mississippi, there is no statute that requires a property owner to obtain a business license in order to manage their rental units. Governments on a city and county level, however, may have specific rules and regulations concerning the need for a business license when more than one rental property is owned by one person or group. A key component of landlord tenant laws is also Mississippi Tenant Screening Background Checks. We’ve dedicated an entire page to it because of its importance. Visit Mississippi Tenant Screening Background Checks to screen your tenant. All states require a variety of forms to rent an apartment to a tenant and Mississippi is no exception. Check out American Apartment Owners Association’s Mississippi Landlord Forms now. 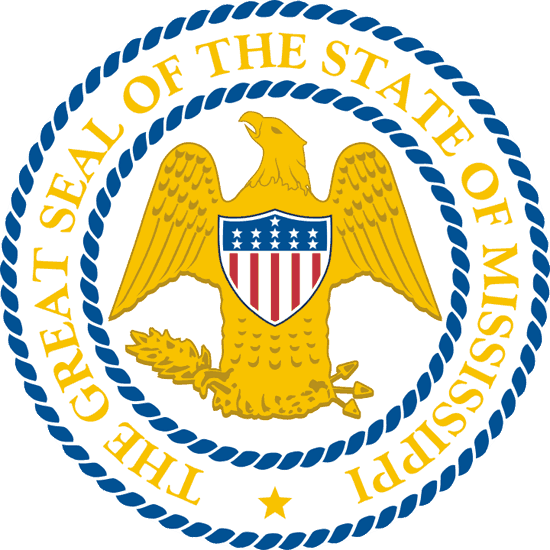 Looking for landlord tenant laws outside of Mississippi? The American Apartment Owners Association offers helpful landlord tenant laws for all 50 states. Click on any of the states listed below and go directly to its landlord tenant law page. To visit the homepage of landlord tenant laws, click here.